Shortly after Kinect's launch, it was either hacked or "accessed in a way not facilitated by the designer," depending on your definition of the term. Microsoft's response was swift and disapproving, stating it "does not condone the modification of its products" and implying legal action (or law enforcement) might be in the offing. Now, a week and a half later, the company's apparently reversed itself and taken to calling the Kinect camera "open by design," while denying the device was hacked at all. "Kinect was not actually hacked," said Microsoft program manager Alex Kipman, speaking on NPR's Science Friday with Ira Flato last week. "Hacking would mean that someone got to our algorithms, that sit inside of the Xbox, and was able to actually use them, which hasn't happened. Or it means that you put a device between the sensor and the Xbox for means of cheating, which also has not happened. That's what we call hacking, and that's why we've put a ton of effort to make sure it doesn't actually occur." "What has happened," continued Kipman, "is someone wrote an open source driver for PCs that essentially opens the USB connection, which we didn't protect by design, and reads the inputs from the sensor. The sensor, again as I talked earlier, has eyes and ears, and that's a whole bunch of noise that someone needs to take and turn into signal." Microsoft Game Studios manager Shannon Loftis weighed in as well, noting that "as an experienced creator, I'm very excited to see that people are so inspired that it was less than a week after the Kinect came out before they had started creating and thinking about what they could do." "So no one's going to get in trouble?" asked Flato. "Nope, absolutely not," replied Kipman. Great news for hackers, but I'm not letting Microsoft off the semantic hook. The company's definition of "hack" sounds needlessly restrictive and doesn't jibe with modern usage. I prefer Wikipedia's definition, which "refers to the re-configuring or re-programming of a system to function in ways not facilitated by the owner, administrator, or designer." Alternatively, "To write or refine computer programs skillfully." And yes, those definitions would include plugging Kinect into a device it wasn't intended to be plugged into and accessing it with ad hoc software, i.e. custom-built open source drivers. Accessing the software algorithms that reside on the Xbox 360 itself would certainly be another kind of hack, but not the only kind possible here. The more interesting portion of the show involved Katherine Isbister, professor computer science and digital media at New York University's Polytech Institute in Brooklyn. Isbister spoke of research into the effect of playing Wii games on emotional states. If you play a Wii game that elicits a kind of silly, buoyant response (I'm looking at you, Dancing with the Stars) Isbiter's hypothesis was that your emotional state would shift to match. And so far, the study's results suggest the hypothesis is probably true. Sadly, Flato failed to bring anyone with a true critical perspective to the discussion, resulting in a lot of overblown rhetoric (like "ecosystem," "palette," "the journey," "new frontier," "inter-social," and most egregious of all, "creates an infinity") and a couple of unchallenged Microsoft reps overstating the device's motion-tracking capabilities. Kinect is clearly a better EyeToy, but notably limited in terms of what it can and can't track reliably. It's decent enough for casual play, but sloppy when gauging activities that demand kinetic finesse. It overstates motion control's current and future place in our lives, too: At one point Isbiter claims she'd prefer email to be "like doing Tai Chi in the morning." But would you really want to respond to meeting invites, work discussions, and personal correspondence by taking five or six times as long to do with your entire body what a mouse and keyboard can accomplish with fractional effort? It's the Minority Report error and a classic example of a company mistaking novelty for functionality (that, or just using vague crystal ball hype to over-promote a product). We value functionality over form. The interface in Minority Report values form over functionality because...well, because it looks cool. But gesticulating (or speaking) in front of a TV screen to process email (private? work-sensitive?) is just a way to make an otherwise straightforward process less friendly and more frustrating. Just because a product seems newfangled and interface-upending doesn't mean it is or even ought to be. 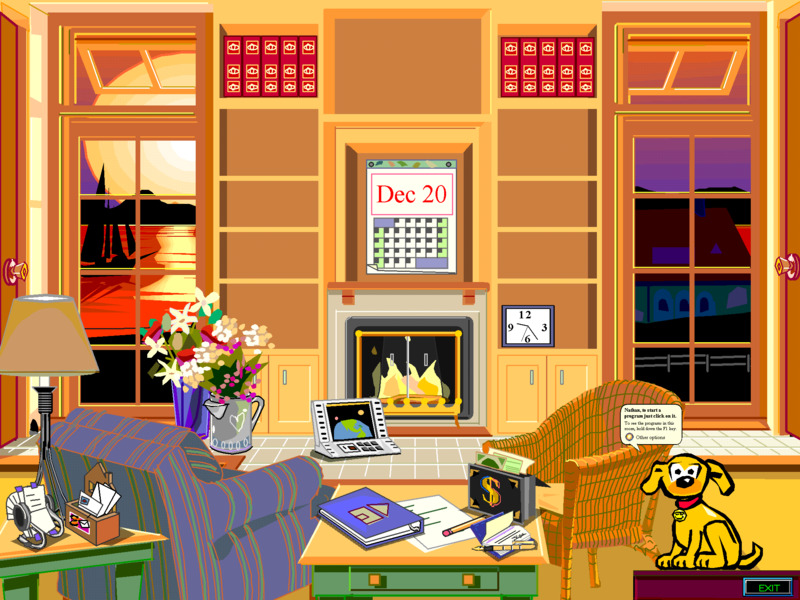 Remember Microsoft Bob (see above)? If it feels right, it probably is right, but if it feels like a solution in search of a problem or a novelty gestural system that adds work instead of subtracting, it's probably that, too.